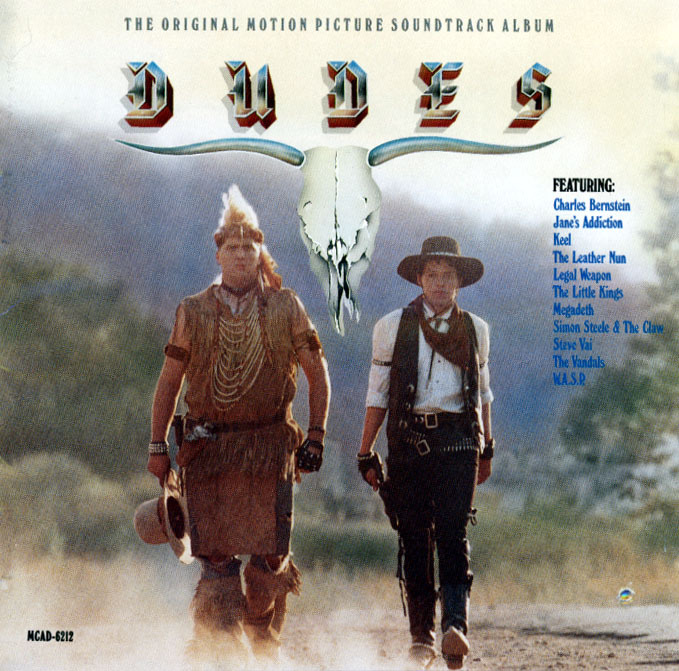 The soundtrack for the feature film Dudes was released in November of 1987 by MCA Records. The seminal Jane’s Addiction track Mountain Song appears on this soundtrack. While it does not note it on the album liners, it is actually the demo version of this song and not the version released on the Nothing’s Shocking album. The soundtrack is out of print, and thus used copies fetch a fairly high price tag. The movie itself is also fairly rare, and is still unavailable on DVD. Relapse bassist and Red Hot Chili Pepper Flea has a small supporting role in this film. Tracks 1-5 appear on side 1, Tracks 6-11 appear on side 2.